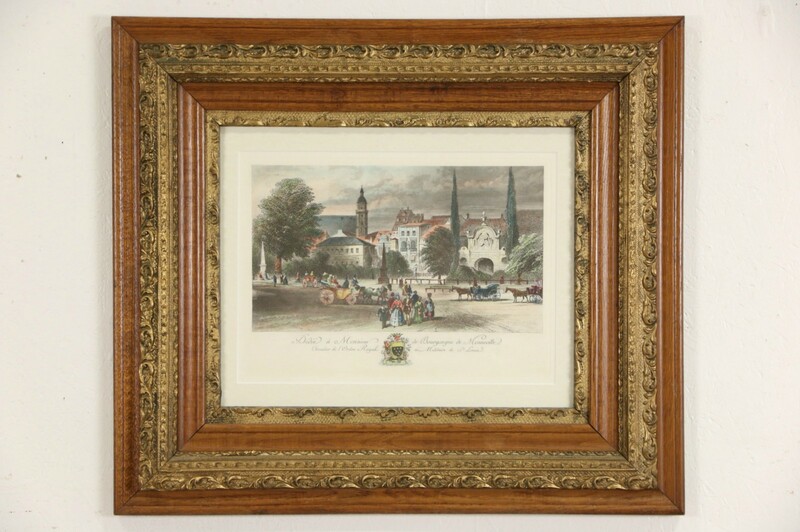 A lovely mid 1800's antique copper plate engraving of Menneville, northeast of Paris, is delicately hand colored and has a recent mat. A royal crest at the bottom bears the name of the painter and engraver. The Victorian American oak frame is in very fine condition and dates from the 1890's. Overall size is 31 1/2" wide, 28" tall and 1 1/2" deep.